Before Rega, the Linn Sondk LP12 was conspicuously rhythmic and musical in a way no other record deck could match. Then, suddenly, the Planar 3 appearedand seemed to out-boogie the pricier (more bourgeois) Linn decks. Unfortunately, back around 1980, I thought the upstart, blue-collar Rega gave up a lot of the Sondek's rhythmic suppleness, deeper space, and "blacker" backgrounds to accomplish this distinction. I bought neither, and remained loyal to my Denon DP-80. Now, with this investigation of Rega's new Planar 3 ($945 with RB330 tonearm, $1145 with the RB330 and Rega's Elys 2 moving-magnet cartridge, footnote 1), I believe I'm finally prepared to appreciate what Roy Gandy and Rega hath wrought. Writing on Rega's website, Roy Gandy describes the new Planar 3 as "truly a new turntable for 2016 carrying over just two components from the previous model." 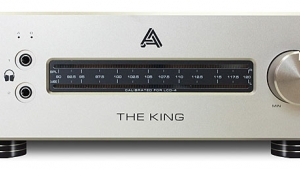 While it looks about the same as its immediate predecessor (the Rega P3), the engineering changes are subtle but wide ranging, and include, according to Gandy, "a new 24V motor with improved motor control PCB" that can be further enhanced by the addition of Rega's optional TT-PSU power supply ($395), the latter also providing pushbutton selection of platter speed and an "improved advanced anti-vibration circuit." 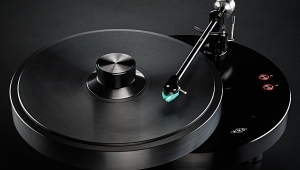 In addition to low mass and high rigidity, Gandy believes in having a totally inflexible connection between the platter bearing, the tonearm mount, andsince 1999, when Rega introduced its 24V motorthe motor mount. He believes in getting excess stylus-groove energy out and away as fast as possible. To that end, Rega now bolts the motor directly to the plinth. A short O-ringtype drive belt encircles a stepped motor pulley (one groove each for 331/3 and 45rpm) and a new polycarbonate subplatter. 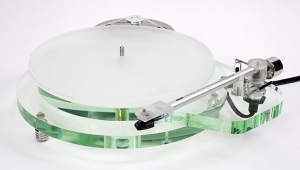 This subassembly drives Rega's latest, 12mm-thick float-glass platter. 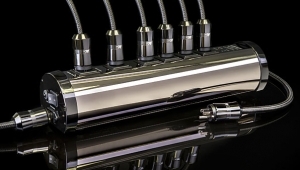 Rega is famous for making high-quality, low-priced tonearms. If, on a scale of 1 to 10, the Swedish Analog Technologies tonearm ($32,000) is an 11 and the SME M2-9 ($1199) is a 4 or 5, then the new RB330 arm ($595) on Rega's new Planar 3 is probably a 6 or 7. When I first unpacked the Planar 3, I examined the RB330 arm, to get a feel for its bearings, check the cartridge alignment, and set the antiskating with the aid of a blank LP side. (I set the bias so the tonearm moves slowly toward the label of the blank side.) Then, absentmindedly, I flipped the disc over and played J.S. Bach's Brandenburg Concerto 6, performed by the Musicians of Aston Magna, directed by Albert Fuller (3 LPs, Smithsonian N019A). Immediately, my ears perked up and my mind began running alongside Bach's music. In 10 seconds, I went from not paying attention to complete absorption in Bach's steady-flowing melodic invention. I bought this three-disc set not because the performances are so spellbinding (they're not), or because the many period instruments played sound so rich (they do). I bought it because side 6 is blank and I could use it to set antiskating bias. But suddenly, out of nowhere, the Planar 3 with budget Elys 2 cartridge ($295) was forcing me to really appreciate these formerly overlooked recordings of Bach's lively concerti grossi. Instantly, the Planar 3 was doing exactly what I'd expected it to: show me rhythms and musical structures and the force of players playing, and let me forget about "audio" and remember why Bach is sublime even when he's not trying to be. I then moved from German polyphony to Indian ragas: Kalpana Improvisations: The Instrumental & Dance Music of India, with Mrinal Sen Gupta on sarod and Lateef Ahmed Khan on tabla (LP, Nonesuch Explorer Series H-72022). The small- to large-scale contrasts and melodic intervals in Rag Misra MandDhun felt correct and accurately proportioned in a unique way that enhanced the momentum and impact of this exotic Indian music. Tempos felt metronomically enhanced, thereby keeping these punchy, pokey ragas just frolicking along. If stepping along and reaching within are not the two most important qualities an excellent hi-fi needs to exhibit, I don't know what are. If these purely musical (as opposed to sonic) qualities don't make it out of the turntable-tonearm-cartridge system, all is lost. As you must already know, stepping along is the raison d'être of all Rega turntablesbut to be truly special, a turntable must also reach within the performance to reveal the creative human forces behind these lively movements. 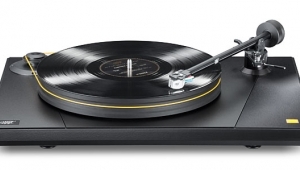 Therefore, the first question I felt I must answer was: Does Rega's new Planar 3 got soul? I tried, but I never warmed up to Rega's Elys 2 cartridge ($295). It didn't reveal the hearts of Nina Simone, Janis Joplin, or Amy Winehouse. The bottom four octaves sounded clean and tight, but the top five octaves were hard and opaque, robbing soulful female voices of texture and overtones. 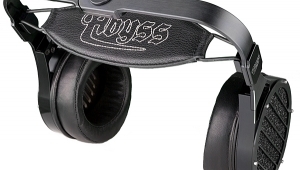 The Elys 2 never got loose or tender or glamorous. So I called Tom McGehee, at Sound Organisation, Rega's US distributor, and asked what he'd recommend to a customer who felt as I did. He didn't hesitate: "I'll send you an Exact." 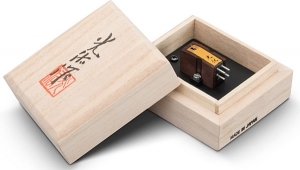 Rega's moving-magnet Exact ($595) attaches to the headshell of the RB330 with three screwsit bolts right in and can't be repositionedand it has an output of 6.87.2mV, just like the Elys 2. I thought that I wouldn't have time to properly break in the Exact. I needn't have worriedthe transparency and soulfulness of this cartridge jumped right out at me. So did the real Simone, Joplin, and Winehouse. Every criticism I had of the Elys 2 disappeared instantly. The Exact sounded sweet, very open, and easy rolling. On every record player I've owned since the late 1970s, I've enjoyed the sociable, easy-rolling rhythms of René Clemencic and his Clemencic Consort playing Danses Anciennes de Hongrie et de Transylvanie (LP, Harmonia Mundi France HM1003). It's a charming, good-sounding recording that I use frequently to assess system sound or a component under review. The Rega Planar 3 and Exact, heard through Lounge Audio's LCR Mk.III phono stage ($300, review in progress), played these stately tunes with rich, fully resolved bass, eager finesse, and sculpted images whose solid presences were neither preposterously big nor distractingly small. Every instrument stood solid, framed by a substantial cushion of air. Old records can be like vintage sports cars: Deccas are like Aston Martins, EMI ASDs are like Jaguar XK-150MCs, and old Deutsche Grammophon "tulip" LPs are like Mercedes-Benz Pontons. And no DG LP is more Ponton-tulip than baritone Dietrich Fischer-Dieskau singing "Morir! Tremenda cosa! Urna fatale del mio destino," from Verdi's La Forza del Destino, with Ferenc Fricsay conducting the Berlin Radio Symphony Orchestra (LP, LPM 18700). The Rega-Lounge combo reproduced Fischer-Dieskau's performance with full Germanic force and no hint of edge or stridency. 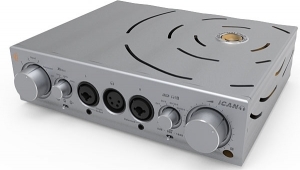 The Planar 3 made this DG Ponton sound like an ASD Jaguar. The larger picture: Despite all the direct-drive and idler-drive tables I've owned, I've always admired the musical capabilities of the Linn Sondek LP12, the Roksan Xerxes, and Rega's original Planar 3. 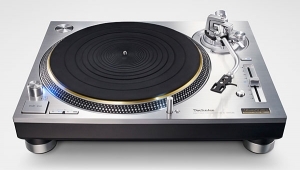 As you all know, admiration is the first step toward acquisition, and in that spirit, I recently purchased a Linn Sondek LP12, and am now considering a Roksan and a Rega. But . . . which Roksan? which Rega? Footnote 1: Rega Research, Southend-on-Sea, Essex SS2 5TE, UK. Web: www.rega.co.uk. US distributor: The Sound Organisation, 1009 Oakmead Dr., Arlington, TX 76011. Tel: (972) 234-0182. Fax: (972) 234-0249. Web: www.soundorg.com. So the P3 with the tt-psu puts it right in the same price range as the vpi scout jr. Do you think one of them is better than the other? I reviewed the Scout Jr. also. Both are fine musical-loving turntables - but extremely different in how they are engineered and how they make recordings sound. The VPI is surely a bit quieter and the Rega is surely a bit more "fun" . 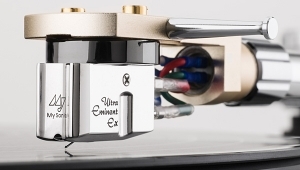 . . the Rega tonearm might "like" more cartridges than the VPI - but then, maybe not. I cannot really apply the word "better" in this comparison. 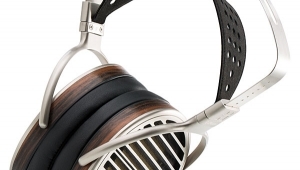 Everything in audio plays differently and your personal taste really is all that matters. With the tt-psu and exact cartridge the PLANAR 3 costs about the same as a Rega RP6. Which turntable sounds better? 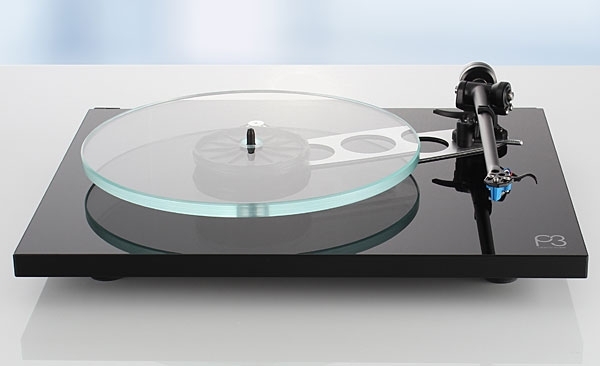 GROOVETRACER and other companies make tweaks for Rega tables.Groovetrace makes platters and subplatters for Rega tables. Do these tweaks improve the sound? This would make a good followup. Hi, Herb. 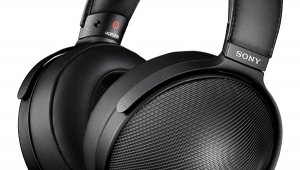 I enjoyed your review of the new Planar 3, and if I buy one, I will definitely consider the Exact instead of the Elys. 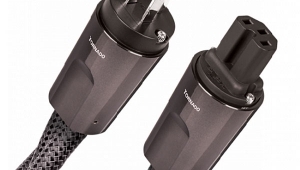 You state that the Exact attaches to the headshell with three screws. Doesn't the Elys attach the same way? No question that if there is one upgrade worth every nickle associated with these Rega tables, the Exact cartridge is worth it. Always a debate if the change in sound is too subtle for the average consumer to hear. This is one where I think in a double blind test the average consumer could tell the difference probably 95% of the time. It is a radical difference. The sound is more full, refined and open, even with a budget phono stage like the Vincent Pho 8 or the onboard phone stage foe the Brio R. I own tables with both and there is no comparison between the two. I initially used the phono stage in my Brio R with my P3 and thought it was great. 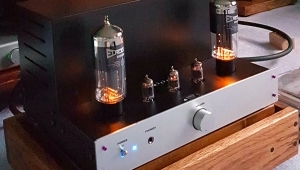 That was until I tried a stand alone unit (Project Tube Box S) which really opened my eyes! I tried it for the tubiness, which made less difference than I thought, but the real difference was the clarity and detail of the image. When you say Rega now bolts the motor directly to the plinth.Do you really mean that,and have they stopped using the foam isolation pads? This video seems to show the motor stuck to the plinth with some form of industrial tape. This is a rega-based turntable, may be a good candidate for a review, and to make use of your stethoscope, since the motor is isolated in a subchassis, you could see if there is difference in background noise. Thanks for much for this review and your comments about the Elys 2. Having recently upgraded to a P3/Elys 2 from a P2/Carbon, whilst there's more authority in the sound and it's nicely presented, I'm missing a liveliness, openness and sparkle, especially noticeable in female vocals, that I had in the previous setup. I might not stretch to an Exact, but think it's time to look at a different cartridge. Thanks again, I thought there was something wrong with my ears until I read this! Increased isolation via some form of base does make an audible difference, as noted here. In keeping with the humble, no nonsense nature of this product, I made my own isolation platform consisting of a bamboo base (overturned Ikea Aptitlig chopping board) resting on 4 halved squash balls. The board is the perfect size, comprises bamboo layers with alternating grain direction and is stiff and reasonably attractive. The changes manifested as a tightening of base and slight warming of the sound. As noted here and elsewhere, Rega arms are designed with stiffness in mind rather than adjustability. 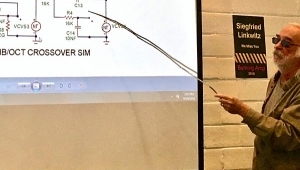 I experimented with VTA fine tuning via split shims that can be installed without removing the arm. Thus far, raising the arm base to what is considered to be a classical alignment has only degraded the sound rather than improved it. Perhaps this confirms the Rega house view that stiffness trumps adjustability? I also note that the torque to which the arm mount screws are tightened is much more sensitive than I could ever have guessed. Over tight results in a deadening of the music so I have settled on nipping-up the screws just past where they grip. One final observation that I have not seen commented on elsewhere is that in my system at least, using the dust cover whilst listening does not change the sound. My set up: Sure M97XE, Rega P3, Project Tube Box S, Van Den Hul CS-122 speaker cables and interconnectors, Dynaudio Focus 160 bookshelf speakers. I own a modified RP1 (platter, subplatter, bearing, belt, tonearm wiring replacement, etc. ), however I do not like the Rega carts. I feel that Ortofon and Audio Technica can beat the sound at the same price. 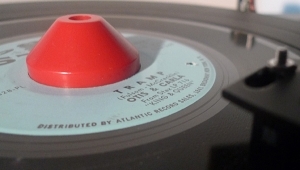 That said, I have an issue with the acrylic platter that isn't indented for records to be played on the acrylic. Why have an acrylic platter where you can use the capability of the material. It needs a proper acrylic platter that is turned properly with the indent cut. (19mm platter for $116 shipped from England). As much as I love Rega turntables, they irritate me regularly by going cheap where they shouldn't.